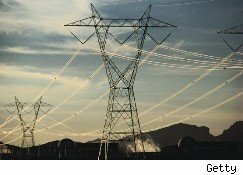 Fears of a crippling cyber attack on the nation's electric grids persist, given vulnerabilities in the computer networks that control them, the Wall Street Journalnotes, citing a recently released Department of Energy report. Issues concerning the safety of the nation's grid system from cyber attacks have been around for a number of years, but they gained much more attention after the 9/11 terrorist attacks. The Department of Energy notes, however, that a number of these known vulnerabilities still remain unresolved. Some of the vulnerabilities found in the grids' computer networks include "well-known unsecure [software] coding practices"; allowing too many portals, otherwise known as entry points, to the computer systems; weak passwords and insufficient encryption for the computer lines that transfer communication among the nation's grid networks, according to the Journal. Apparently, these problems were uncovered by the Department of Energy when conducting tests on computer systems over a six-year period ending in 2009, the Journal noted.